Labour Friends of Israel invites new Labour leader Jeremy Corbyn to address reception, despite his ties to pro-Palestinian groups. 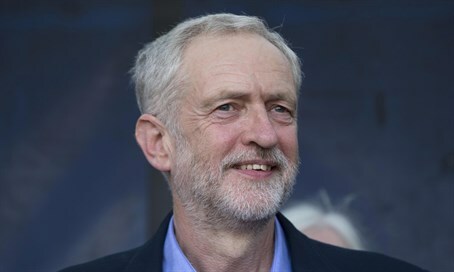 The new leader of Britain's Labour party, Jeremy Corbyn, has been invited to speak before the party's pro-Israel caucus, the UK-based Jewish Chronicle reports. MP Joan Ryan's invitation to Corbyn to address the Labour Friends of Israel (LFI) reception at Labour's annual conference next week comes amid growing worry among many British Jews over Corbyn's election. Corbyn, a patron of the Palestinian Solidarity Campaign known for vocal criticism of Israel, has also stirred up considerable controversy for infamously calling Hamas and Hezbollah his "friends". British Jews have also voiced deep concern over his disturbing links to a wide range of extremists, spanning far-right holocaust deniers, an anti-Semitic Christian minister and Islamist terrorist groups. According to Ryan, the invitation is "the start of a process. What I will do over the coming weeks and months is have open dialogue with the party’s new leadership. The invite is the beginning of that process. It’s not a one-off – I’ve also asked for a meeting with him." Cobryn has yet to formally respond to LFI's invitation and Ryan was unsure if the new Labour leader would in fact attend. In recent weeks, Corbyn has appeared to be backtracking somewhat from his anti-Israel persona, stepping down as chair from a coalition which calls for Prime Minister Binyamin Netanyahu's arrest and agreeing to meet with Jewish MP Ivan Lewis about anti-Semitism. Additionally, last week in an interview with the Church Times, Corbyn revealed that there was a “Jewish element” in the family.